Cloete Murray, one of the provisional liquidators of African Global Operations (AGO), says they are ready to take back control of the company after Wednesday's court victory. Acting Judge Joolam Ameer admitted in the Gauteng High Court in Johannesburg that he may have erred by removing the liquidators and granted them leave to appeal his earlier ruling to the Supreme Court of Appeal in Bloemfontein. The liquidators will now approach the SCA on an urgent basis to permanently regain control of what is left of AGO, formerly known as the Bosasa group. Bosasa, a major ANC party-funder, has been implicated in large-scale corruption in the departments of correctional services, justice and transport. Its former chief operating officer, Angelo Agrizzi, is expected to return to the Zondo commission of inquiry into state capture soon to continue his evidence of alleged looting by Bosasa to win tenders. 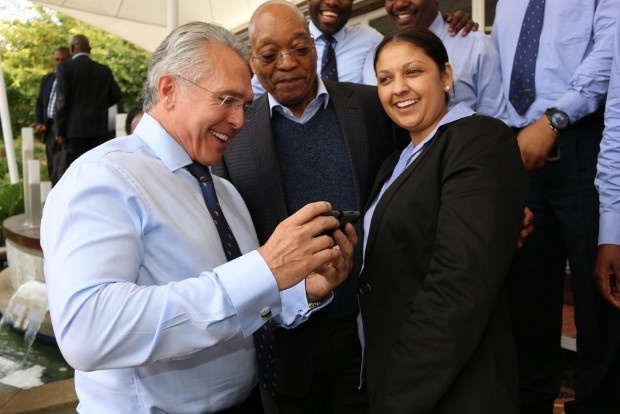 CEO Gavin Watson and his fellow directors triumphantly returned to AGO's head office in Krugersdorp last week after Ameer ruled in their favour. Employees who assisted the liquidators with administrative tasks were removed from their offices by armed BlackRox security guards this week. BlackRox was previously known as Bosasa Security. But Watson's jubilation may be short lived. "We will be back as soon as possible," Murray told News24 in the wake of Wednesday's court ruling. "When leave to appeal is granted, the order of the court is suspended while the appeal is being finalised. So legally we are still in control of the company and its affairs and will do what is required to take charge of the company." Ameer ruled in AGO's favour on the basis that they had received wrong legal advice to apply for voluntary liquidation. The acting judge called the basis on which they agreed to be liquidated a "sham". On Wednesday, Ameer admitted that he may have erred by calling the process a "sham".